What is Ruislip Woods Trust ? Ruislip Woods Trust was established in 1997 as a charity. Its aims are to protect the ecological environment of Ruislip Woods and to encourage greater access by the public through education, monitoring and surveying. It was set up by the five local Residents Associations which surround the woods, these are Eastcote, Harefield, Northwood, Northwood Hills and Ruislip. It is registered with the Charity Commissioners and maintains full accounts. 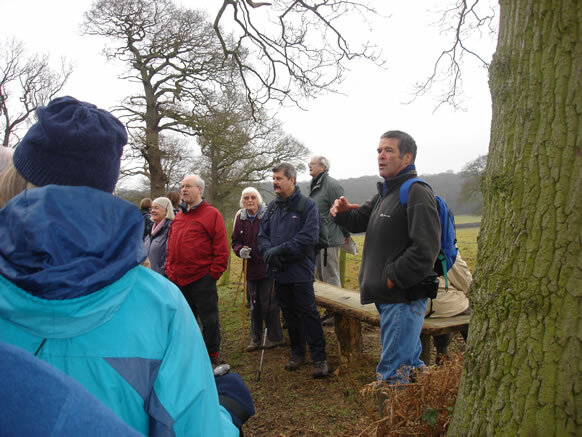 The Trust management committee includes recognised experts in nature conservation and interpretation. The Trust identifies projects, obtains funding for proposed schemes and then commissions the work, much along the principles of a Groundwork Trust such as the Colne Valley. The Trust's objectives prevent it from doing any of the woodlands management presently undertaken by Hillingdon Council, except to give advice on request. Two of our current projects are the Classroom in the Woods and the Ruislip Woods Bat Project we also organise the annual Ruislip Woods Festival. This project aims to encourage children to visit the woods and understand more about this environment. The Classroom in the woods is a free guided activity walk offered to schools and youth groups. We are raising money to enable us to provide each child who attends the classroom with an informative leaflet to encourage them to visit the woods again with their families and friends. We are also currently fundraising for a Bat Conservation and Education Project. This aims to increase the bat population and diversity in the woods, and to enhance the public’s bat knowledge. A bat group will be formed made up of volunteers who will be given detailed training in bat handling, surveying and how to lead bat walks. New roosting opportunities for bats will be created in Ruislip Woods National Nature Reserve. Guided bat walks will be offered to the public which will increase their awareness and understanding of bats and the conservation of their habitat. This is a free family day that celebrates everything about the woods. Click here for details for this year's event.